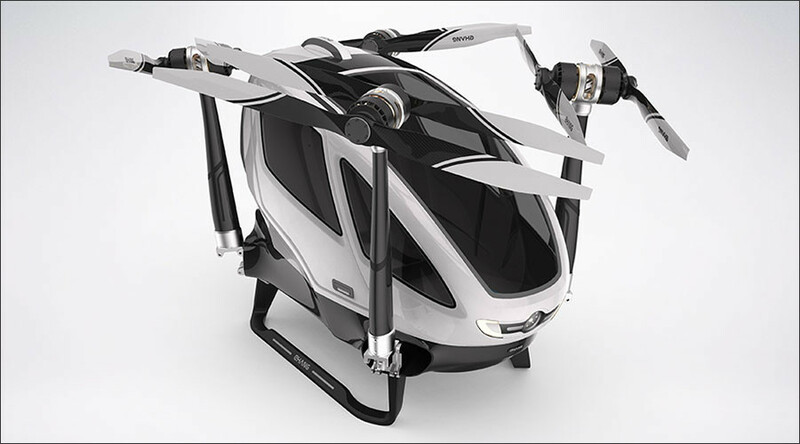 A 4ft (122cm)-tall drone capable of carrying a human passenger was unveiled at the Las Vegas CES tradeshow Wednesday. The Chinese EHang 184 is capable of carrying a passenger for 23 minutes at a speed of up to 60 mph (96 kph). EHang claims the drone is “the safest, eco-est and smartest low altitude autonomous aerial vehicle” for short to medium distance travel. The drone will not allow users to fly manually; an automated destination input/delivery system is designed to eradicate human error. EHang CEO Huazhi Hu lost his best friend and helicopter coach in a flight accident in 2011 and sought to create a safer way to fly locally. The EHang 184 cannot be legally tested in the US due to FAA regulations. Despite a Buy Now button on the company’s website the drone is still unavailable for purchase. Also unveiled at the Las Vegas tradeshow was the Parrot Disco, a fixed wing drone described as a “grown-up version” of a paper airplane. Responsive drones have been a big theme at this year’s show, including the Yuneec Typhoon H which allows users to multitask while flying. It is also capable of detecting obstacles such as buildings or trees and avoids them automatically.